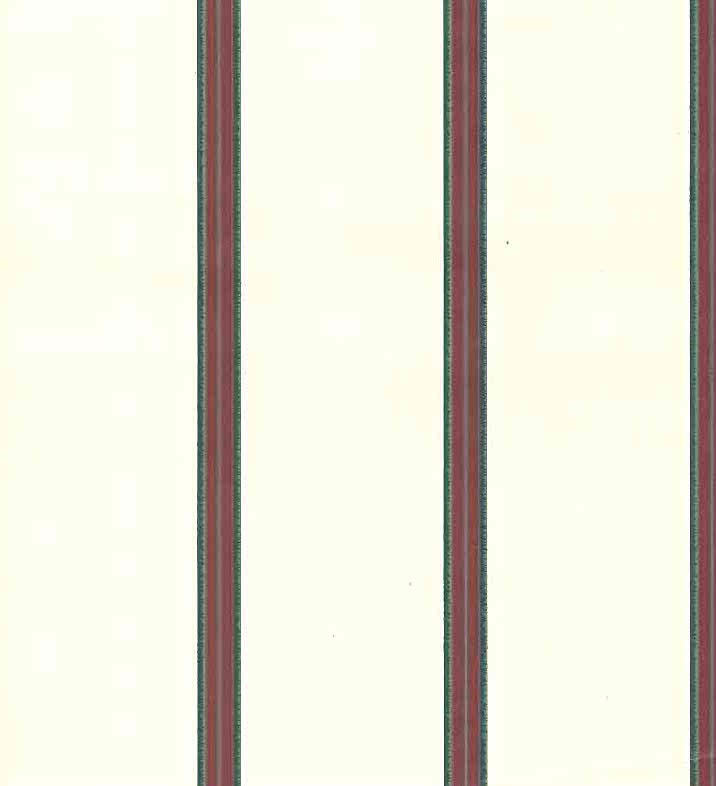 Red striped wallpaper with thin stripe of Green and even thinner stripes of Blue. The Red stripes have green on either edge and a thin blue line down the middle. All together it is about one-half inch. There is 2 3/4 inches between stripes. The background is Cream. This is a simple, classic stripe that would work well in a Study or Entrance Way.